I downloaded Debian-Live and write it to USB. When I boot from USB I get to grub and if I click Debian Live I see a screen blink like I clicked it but It wont boot, I'm still in GRUB. Pressing Install, Graphic install have same problem? Try using the nomodeset kernel boot option. Adding the nomodeset parameter instructs the kernel to not load video drivers and use BIOS modes instead until X is loaded. Immediately after this string replace ro quiet splash by nomodeset quiet splash. This change is only temporary — it will just be used once and GRUB won’t remember it in the future. Press Ctrl+X or F10 to boot with the nomodeset option that was added. If you make a mistake, press Esc to go back to the previous screen. To make the change permanent you need to add it to the /etc/default/grub file. Append nomodeset inside the quotes of the line GRUB_CMDLINE_LINUX_DEFAULT="...". 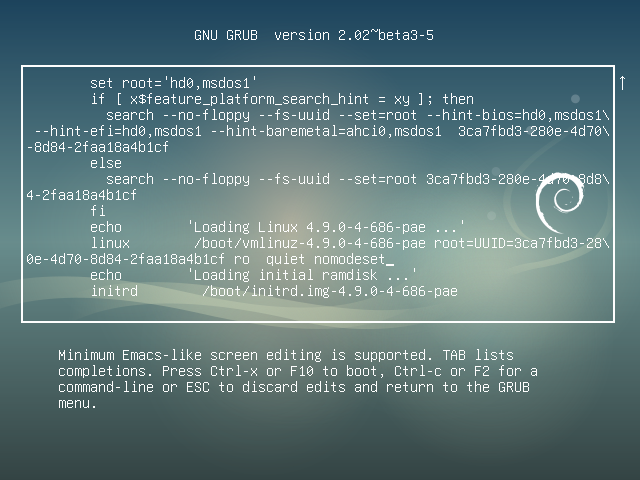 Then update your grub settings with sudo update-grub. The smaller netinst CD image is easier to boot than the full size Debian image. The netinst CD image generally 150-300 MB, varies by architecture. A "network install" or "netinst" Debian CD is a single CD which enables you to install the entire operating system. The network install CD contains the word "install" for a reason. 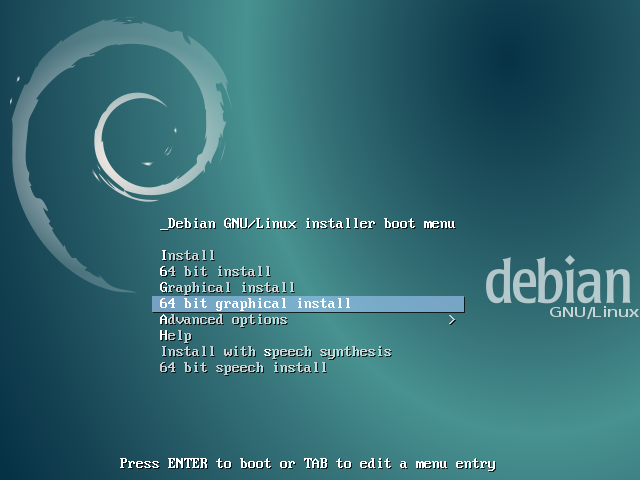 It is not a Debian live CD, rather it is specifically used for installing Debian. This single CD contains just the minimal amount of software to start the installation and fetch the remaining packages over the internet. To write a CD image to a USB flash drive follow these instructions from www.debian.org. Not the answer you're looking for? Browse other questions tagged debian grub2 live-usb debian-installer livecd or ask your own question. How to build a live Debian CD/USB in Windows, bootable in EFI mode? Debian installation with no GRUB?